Dr. Liliana Dutka is a Doctor of Natural Medicine (Examining Board of Natural Medicine Practitioners), a Doctor of Acupuncture (Open International University for Complementary Medicines) and is a Registered Acupuncture Practitioner (RAP). In addition, she is one of the first in Canada to hold a Diploma in Mesotherapy (Canadian School of Mesotherapy). Her background also includes a European University degree in Pharmacy, and Diplomas in Aesthetics and Cosmetology. 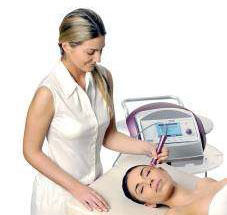 Other qualifications include, Laser Hair Removal Technician, Electrologist, and Telangiectasia Technician. Dr. Dutka is dedicated to raising the level of skin care and skin treatments in Canada. She is a practicing paramedical skin care professional, owning and operating her Natural Anti-Ageing Clinic, Formula Life School of Aesthetics and Formula Life Aesthetics/Mesotherapy supply service. Rufina Kraychik is a world renowned physiotherpist and cosmetologist, who has worked for legendary Christian Dior, Nina Ricci, and Estee Lauder, just to name a few. She has written two popular books, as well as has been internationally recogized and awarded for many years. Rufina is a big believer in pure and natural ingredients, as well as applying wisdom of the ages with the lastest technology to help rejuvenate the face and reshape the body. Currently, she is operating her Vancouver-based cinic, Rufina's Cellulite Solution and Anti-Ageing Clinic, based on these ideals. She also runs her own aesthetics school, Beauty Pro. Lina Casuschelli is a registered aesthetician. She finished the Formula Life School of Medical Aesthetics. Lina is also a trainer and lecturer in the CSI shows.